The revolutionary movement caliber VEN_99 has no battery; wrist-movements engage a rotary mass to drive a micro-generator that produces the required electric energy. 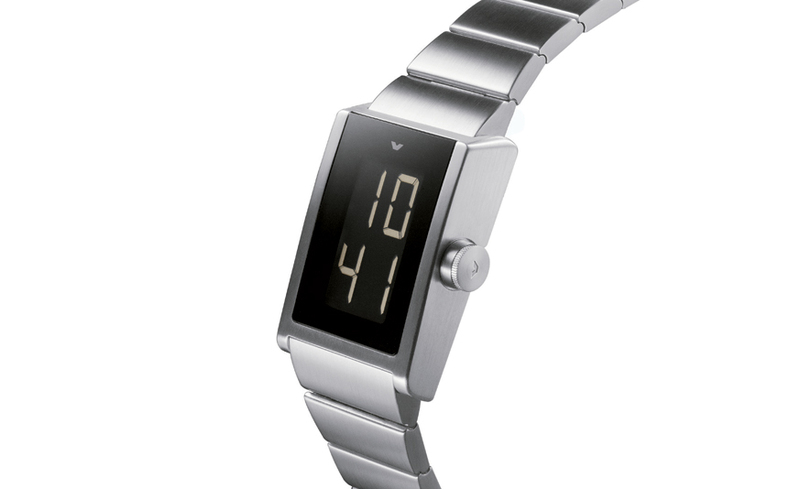 Hannes Wettstein was commissioned to give this technology a face; his SPARC px is a reverence to the very first Ventura timepiece «watch Flemming Bo Hansen» created in 1989, now part of the permanent Design Collection of the Museum of Modern Art New York and numerous other Museum-collections. Following the philosophy of «watch», the SPARC excels by its simplicity, showing only time and date. The crown enables the setting like on any ordinary wristwatch and additionally activates the micro generator.